for your orthodontic invisalign treatment. We offer much more than simple consultations at our Laval offices. During your initial visit, Dr. Fournier will perform a complete evaluation of your teeth using one of our three 3-D scanners. For the best possible results, he will prepare a treatment plan and simulation, which you will receive by email right after your visit. Dr. Fournier is the North American spokesperson for the Invisalign scanner. In addition to taking photos and interpreting your wide-view X-ray, Dr. Fournier will explain your Invisalign orthodontic needs, in simple terms. Dr. Fournier has over 25 years’ experience in orthodontics, and more than 15 using Invisalign. In 2015, he became the very first dentist in Quebec to attain the highest level of distinction from Invisalign – Elite Top 1% Provider – after having successfully completed the two previous levels. As a patient of Dr. Fournier, you will be seeing the only dental professional in Quebec who has been teaching Invisalign techniques all over the world since 2008. In fact, his videos help coach other dentists and orthodontists www.YourOrthoCoach.com. Take advantage of his expertise! After all, he has successfully treated over 1,300 patients using Invisalign. 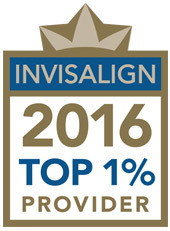 The success of an Invisalign treatment depends on the dental practitioner’s experience. Dr. Fournier’s extensive experience, knowledge, and strategies have made him one of the best in the industry for using virtual teeth movement, the software used to move teeth. Dr. Fournier masters virtual teeth movement like no other dentist. And, because he knows all the tips and tricks to correct any kind of issue, rest assured that he will find the treatment option that is right for you. He has maximized the use of Invisalign techniques and protocols; in fact, others have begun copying his work throughout North America. Thanks to various fine-tuning measures, Dr. Fournier can complete a treatment 20% to 40% faster than other dentists. For optimal results with Invisalign, look no further. Braces are a thing of the past! We have been offering the orthodontics of the future for more than 15 years. And, in today’s digital age, it is no surprise that many members of the artistic community seek out Dr. Fournier’s Invisalign expertise. Are you looking for an innovative specialist? 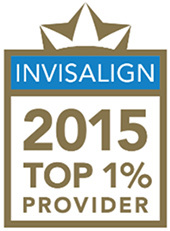 Call Dr. Fournier – the world-leading Invisalign specialist – today. Transform your life by improving your smile naturally, comfortably, and cosmetically. We can begin your treatment at your earliest convenience. An Invisalign treatment involves much more than just wearing the product. Rest assured that you’ve chosen an orthodontist who will build your custom treatment plan using top-of-the-line software, and who understands specialized orthodontics under all its angles. 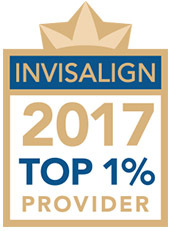 Only those who have at least 800 patients with the invisalign technique and annually have 200 new patients can be called TOP 1% Provider.